The SUNY Orange Foundation helps put a quality college education within reach for many individuals in our community through our scholarship program. Scholarships are a top fund-raising priority. This year, we are celebrating the 20th Anniversary of “Golfing for Scholarships,” which has raised more than $500,000 for scholarships over that period. Please join us for an enjoyable day of golf, with special anniversary festivities, on Thursday, June 21st at the Town of Wallkill Golf Club in Middletown, New York. Tee off is at 9:00 AM, and breakfast is available at 8:00 AM. Your support goes directly to scholarships, and some of the young people supported through past events will be on-hand to meet you and express their gratitude for your generosity. 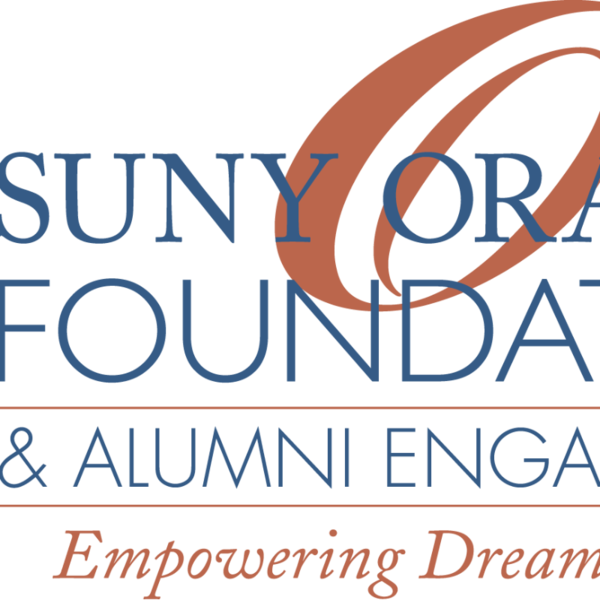 To make this a particularly memorable 20th Anniversary event, the SUNY Orange Foundation is offering a $20,000 Scholarship Challenge Match. We will match your sponsorship contribution, one-to-one, for any sponsorship package, tee sign, or outright contribution, up to $7,500. The matching funds are available on a first-come basis until the $20,000 fund is exhausted. Individual golfing fees are not eligible. Or make a direct donation to scholarships through Hudson Valley Gives. If you have any questions, or are able to volunteer on that day, please contact Mary Roth, Director of Alumni and Community Engagement, at 845-341-4179 or email her at mary.roth@sunyorange.edu.